Police confirm 1 dead, 2 others injured. From the 2 injured, 1 victim is serious with head injuries. 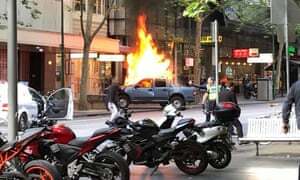 During rush hour at Bourke Street, Melbourne business district, Australia a man crashed a car, set it on fire and attempted to stab the public. 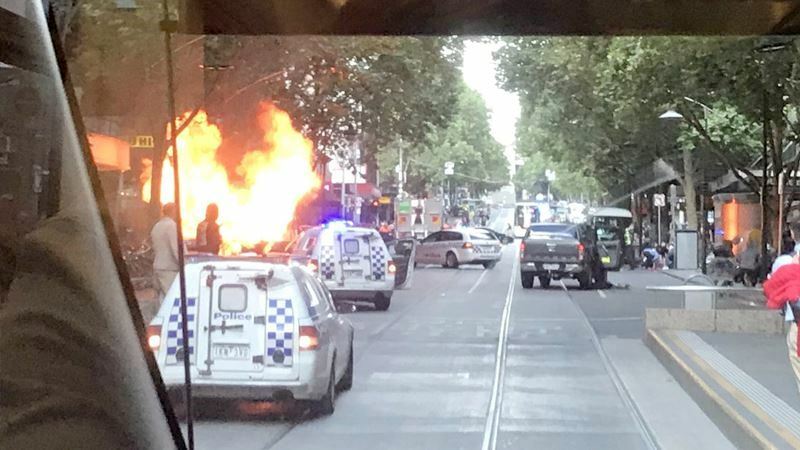 The incident was reported on Friday afternoon, Victoria Police received a call as about a burning car. When the police reached the site a man with a knife near the burning car, he already had stabbed multiple people. The man saw police and panicked, he tried to stab the police as well. The police fired shots to bring down the suspect. He was later arrested and escorted to a hospital after multiple injuries. Paramedics said they attended three people, all were critical. This is an evolving story, more updates to follow.